the Conservatory of the same town. 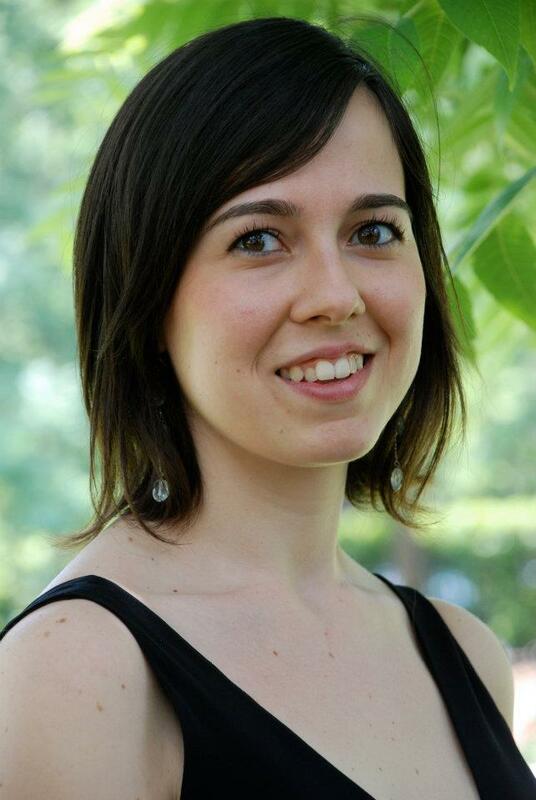 She studied vocal chamber music with E. Battaglia, and baroque repertoire with Sara Mingardo and Monica Piccinini. She attended as a soloist the European Baroque Academy of Ambronay, under the direction of S. Kuijken; In 2015 she got a four month-scholarship from the Teatro Lirico Sperimentale of Spoleto (Italy). She also attended in Barcelona the 5th and 6th Academia de Musica Antigua of Fundacio CIMA, directed by Jordi Savall, and the Opera Studio of the Theatres of Lucca, Livorno, Pisa and Liège, directed by FM. Bressan. She’s now coached by Alessio Tosi in Italy. In December 2016 she won the “Beca Bach 2017” competition from the Association Bach Zum Mitsingen, she will perform as a soloist several cycles of Cantatas by J. S. Bach in Barcelona (opening also the Festival BachCelona 2017) and she will attend masterclasses with Benjamin Bruns and Ton Koopman. regularly collaborates with Icarus Ensemble for contemporary music. She’s co-founder of Ensemble AbChordis, which won the project “Résidences Jeunes Ensembles” at the Centre Culturel de Rencontre Ambronay, and with whom she has performed in many festivals; the same group has recently won the EEEmerging project, sponsored by the CCR of Ambronay. In January 2016 Sony Deutsche Armonia Mundi has released the first CD of the group, “Stabat Mater”. Her recent engagements include: Jommelli’s Requiem (Malta Baroque Festival), Tisbe in Rossini’s Cenerentola (Verdi Theater, Florence), concerts with the Italian Swiss Radio Choir and Marta Argerich (Lugano), solo concerts with Jordi Savall in Amsterdam and Reims, Solo concerts with AbChordis in Haudères, Malta and Poznan, her debut with Accademia Ottoboni in Tage Alter Musik Herne, Ottavia in Monteverdi’s Incoronazione di Poppea (Bologna), concerts with La Fonte Musica in Wrocklaw, a solo recital for the Festival Grandezze e Meraviglie (Modena), concerts with Jordi Savall and La Capilla Real de Catalunya in Barcelona, Leipzig, Paris. She got a degree in “Foreign Languages and Literatures” and a Master in “Languages for the Promotion of Cultural Activities” at the Universities of Bologna and Modena.